Bios Life Slim is so easy to take – It works with your body to help maintain heathy glucose levels, promotes a healthy heart and helps you lose weight. Bios Life Slim is supported by major clinical studies by some of the top institutions around the world. 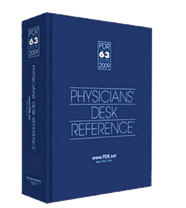 Bios Life Slim is even listed in the Physicians Desk Reference, a resource used frequently by doctors. Following the 4-4-12 rule with help accelerate your results – Thats at least 4 hours between breakfast and lunch, at least 4 hours between lunch and dinner and 12 hours between dinner and breakfast the next morning. By sticking to 4-4-12 rule, along with taking Slim, eating a healthy balanced diet and regular exercise – Your body will enter the Fat Burning Zone. This is the time between meals where your body burns your fat stores for energy. Slim is designed to help you eat better, while sustaining healthy cholesterol and blood sugar levels. Moderation is key, and it might seem hard to achieve but Slim is designed to give you the will power you need by reducing your cravings and increasing your bodys ability to burn fat for fuel. As you drink Bios Life Slim as recommended you can expect to see several overall imporvements in your general health and apprearance. Within 48 hours Bios Life Slim will help you maintain health blood sugar levels, within 3-5 days you should feel an increase in energy as Slim helps slow down the rate your body absorbs glucose, this allows you to have more energy over a longer period of time. With Slim you can eat, you never have to skip a meal and still lose weight all while maintaining a healthy blood sugar and cholesterol level. Follow these easy steps and enjoy the results thousands of others are experiencing with Bios Life Slim.